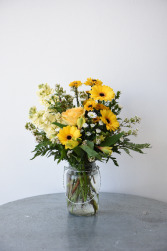 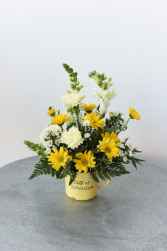 This cheerful bouquet is a customer favorite with shades of yellows: mini gerbs, alstoemeria, stock, roses, viking poms, monte, and waxflower in a cute mason jar! 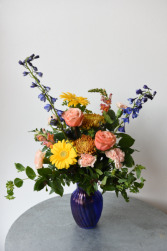 Cobalt blue glass vase with gerbera daisies, roses, snap dragons, mums, delphinium, and carnations. 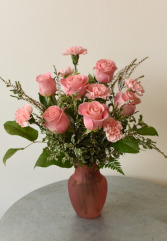 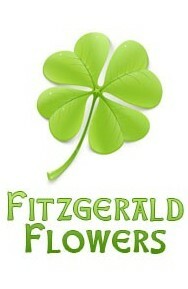 6 roses and 6 carnations mixed together with some lovely greenery and filler. 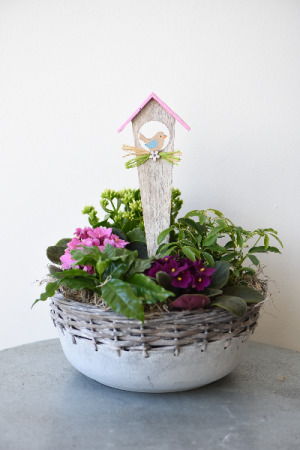 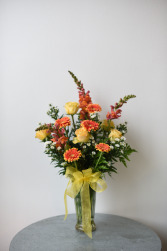 Other color combinations are available upon request. 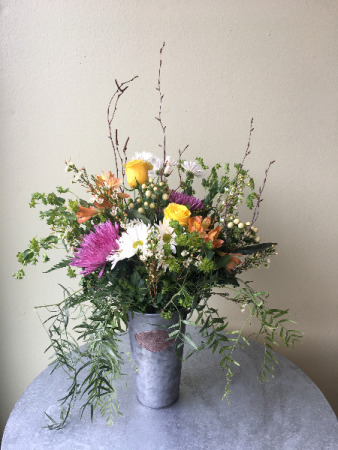 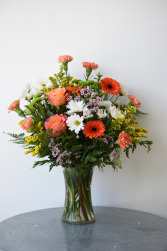 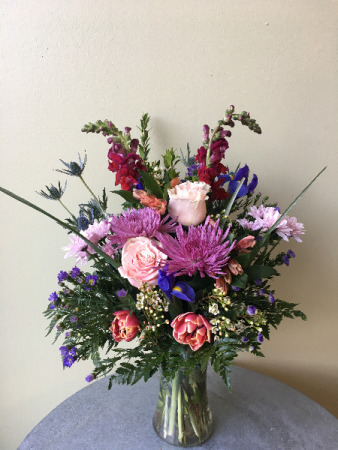 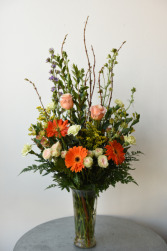 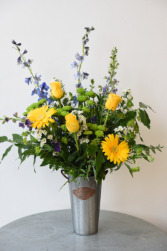 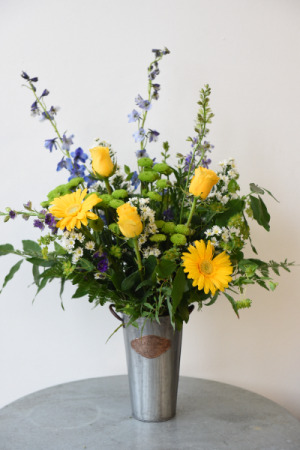 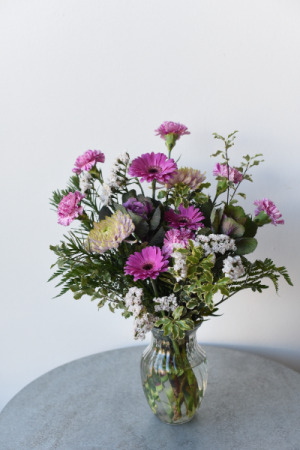 Taller designed bouquet with alstroemeria, spray roses, gerbera daisies, carnations, larkspur, forsythia branches, and solid aster. 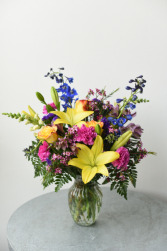 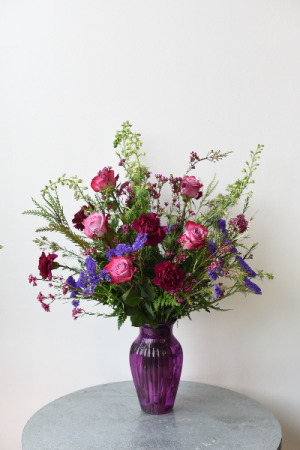 Colorful mix of lilies, roses, carnations, snapdragons, delphinium and alstroemeria. 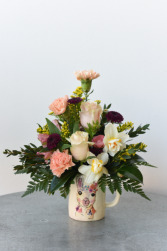 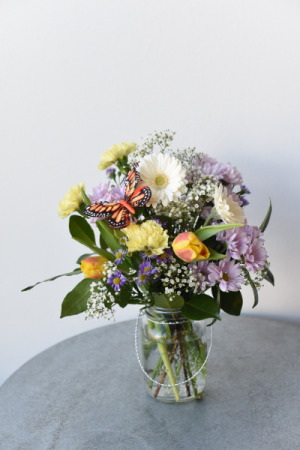 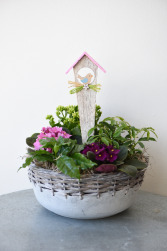 cute wire lined mason jar with a cheerful mix of daisies, tulips, carnations, babies breath and a happy butterfly.